Suzi is well travelled and knows how to manage people. The skills she has gained in hospitality and other areas has helped her excel in helping people achieve a mutually successful outcome. Along with her strong administration skills, Suzi has gained expertise in the areas of policies and procedures and processes, assuring a smooth running workplace, as well as liaising with people from all backgrounds and professions. 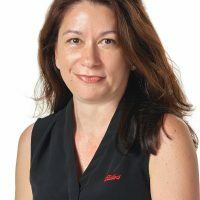 Suzi is also the proud recipient of the Elders Real Estate Property Manager of the Year 2017 awards for the Darwin area, as well as across the Northern Territory. Would you like to speak to Suzanne? If you’re thinking about renting or selling your property and you’d like a clearer picture of how much your property might be worth or want to have an informal chat about general property market trading conditions, Suzanne will be happy to arrange a full market appraisal of your property.